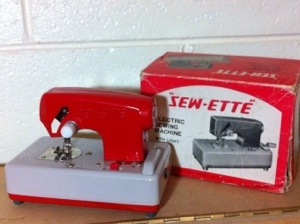 This is a vintage working toy sewing machine from the 60’s. 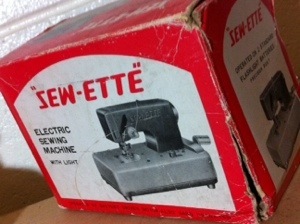 It is miniature & runs on batteries or with a hand crank. 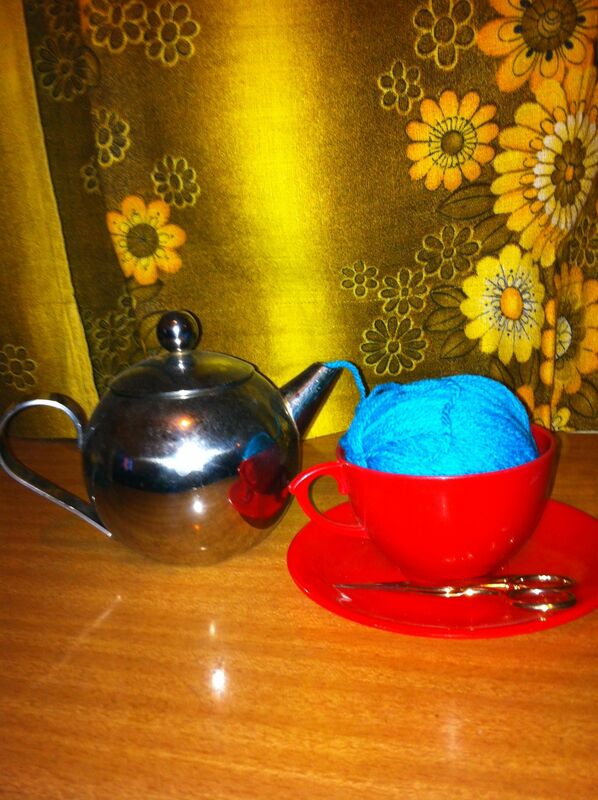 This entry was posted in Uncategorized and tagged photography, retro, sewing, tin toys, toys, vintage on October 31, 2013 by yarnbomb. 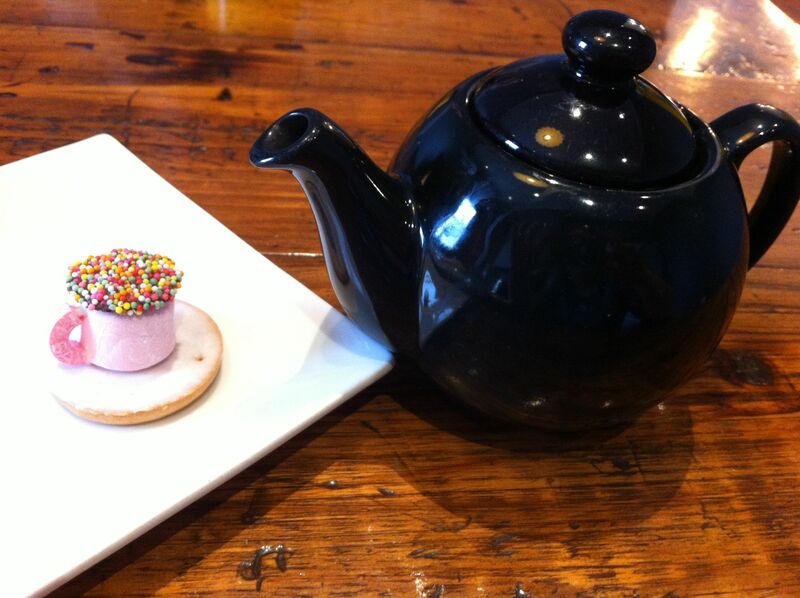 This entry was posted in crochet, photography, Yarn bombing and tagged CAKES, COOKING, MARSHMALLOW, photography, tea, yarn, yarn bombing on October 20, 2013 by yarnbomb. 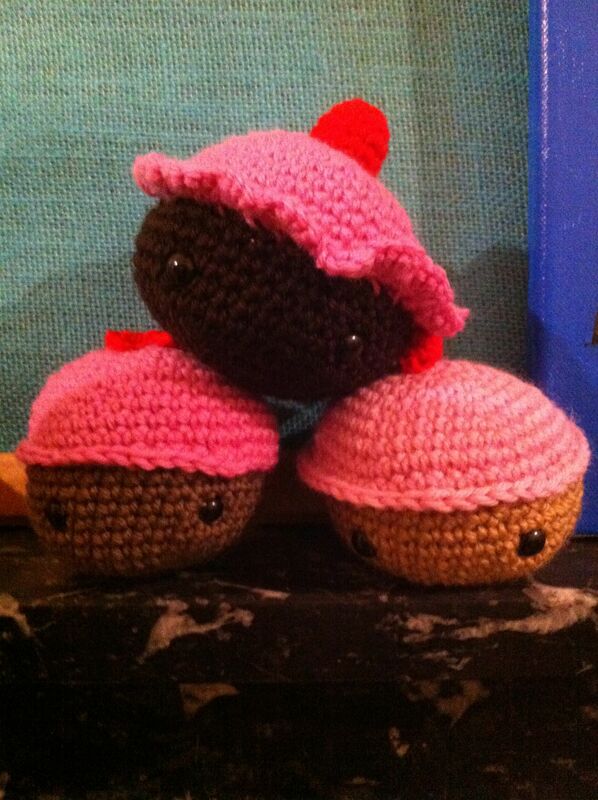 I’ve been posting pictures and sharing tales of yarn bombing on this blog for nearly 2 years now. 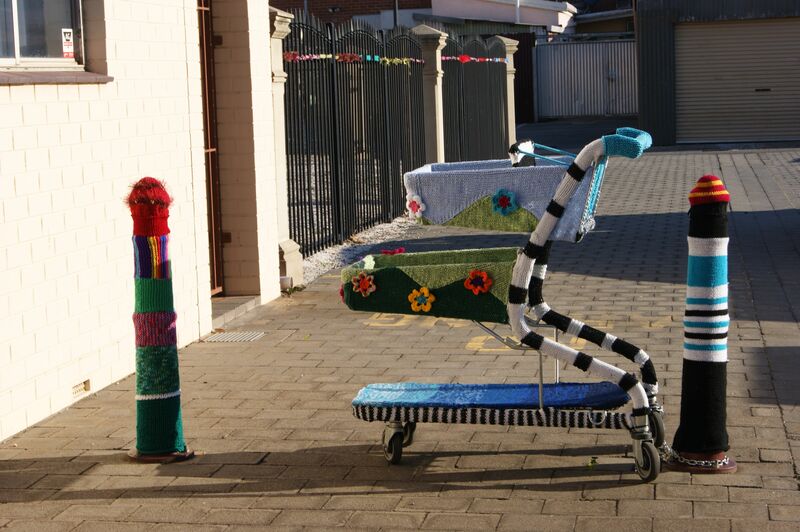 During the last 3 years I have been involved in a series of community yarn bombing projects and I have published a short ebook on the subject. 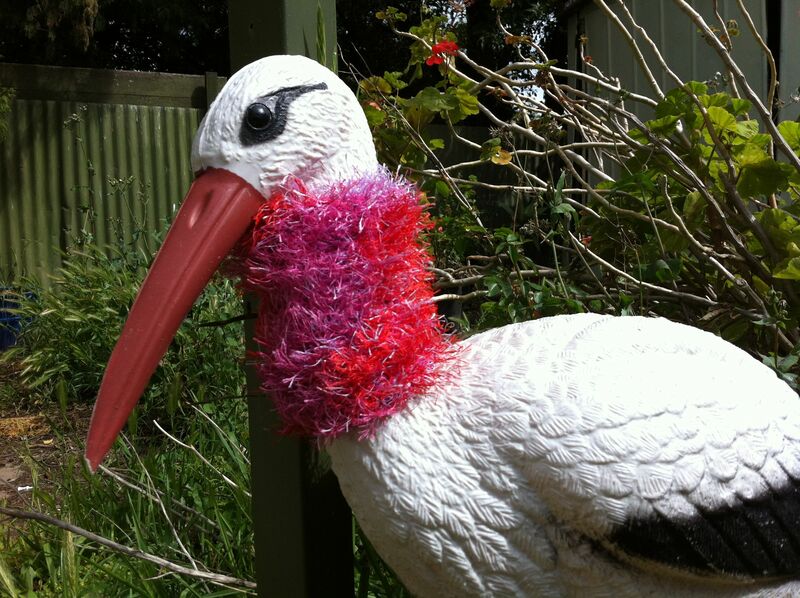 Today I would like to give a brief refresher course on what yarn bombing is and how it has changed over the past few years. 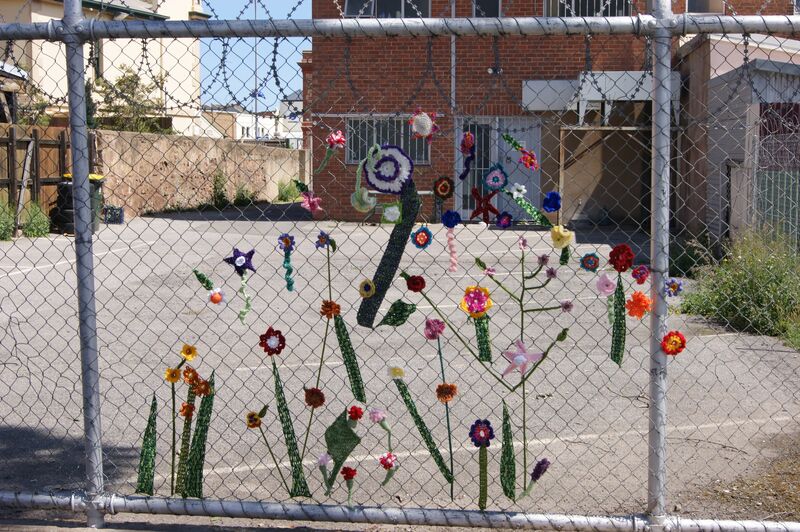 Yarn bombing also known as knit graffiti is a form of anarchic craft that melds traditional knitting & crochet skills with street art. 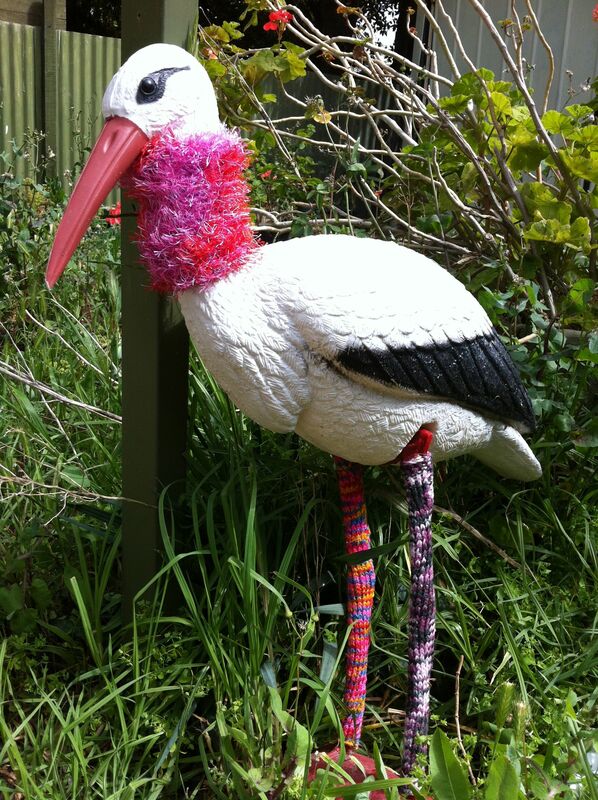 Yarn bombing is the art of adorning inanimate & often pedestrian objects in colourful knitting or crochet. 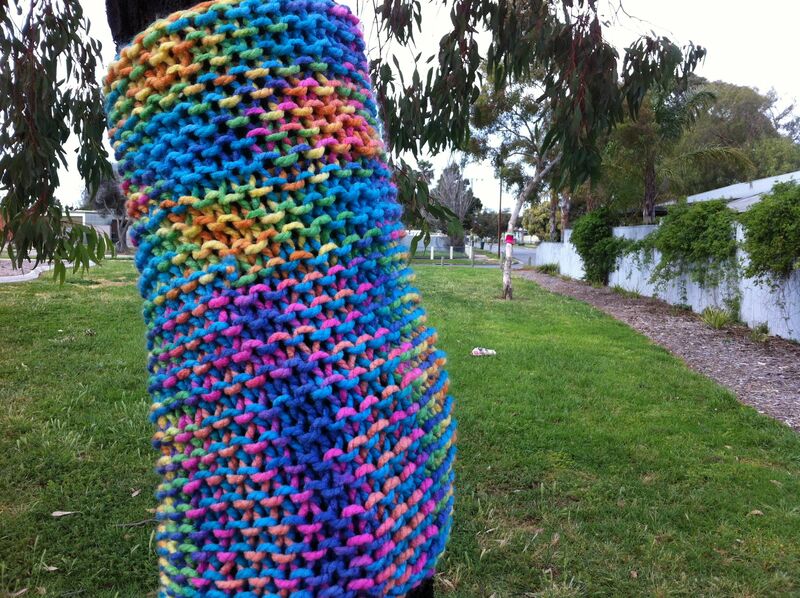 Poles, lamp posts, street signs & tree’s are often wrapped in lengths of knitted wool or acrylic yarn. 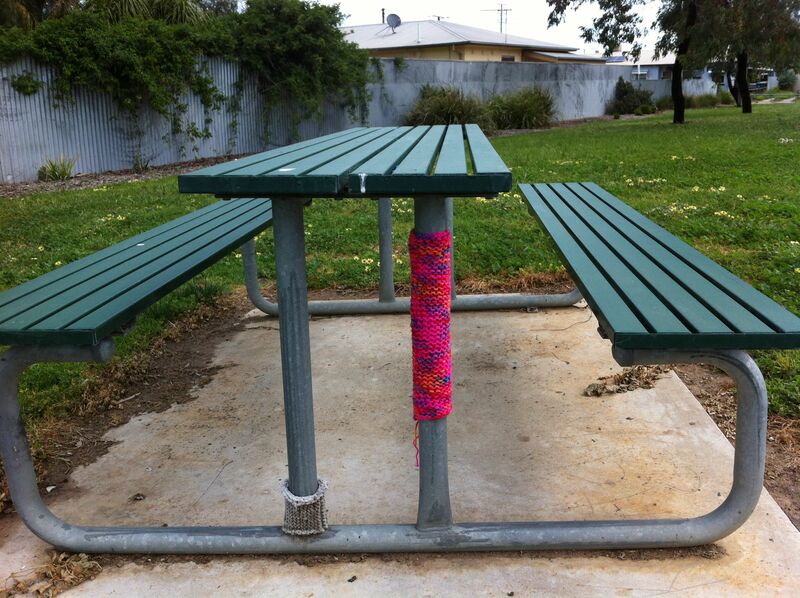 Yarn bombing has become a strong craft movement across the world. 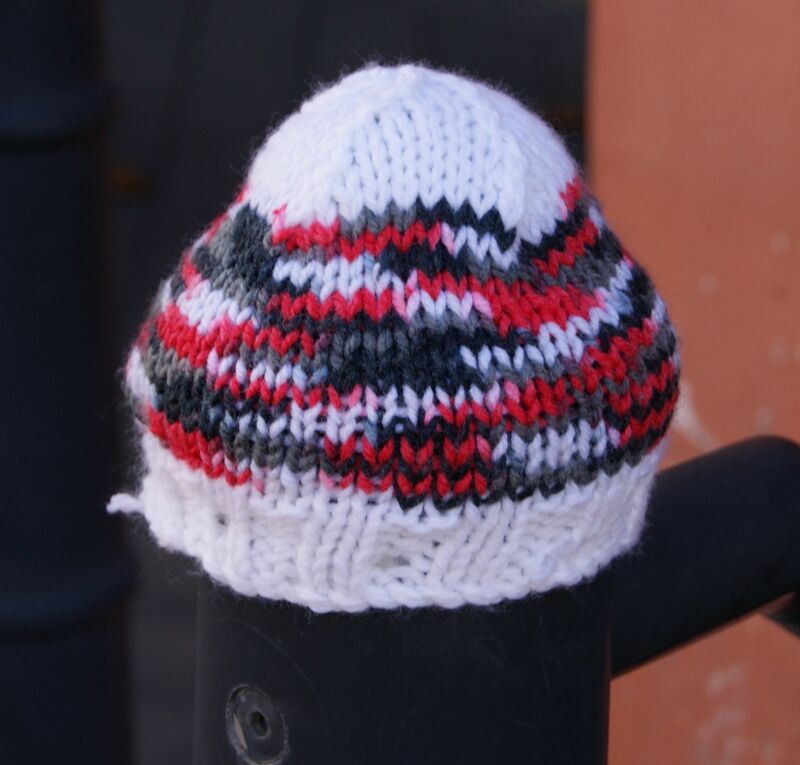 Once upon a time yarn bombing was an obscure art form, that began with a single shop door handle in Canada being covered in knitting, to keep customers hands from getting cold when opening the door. 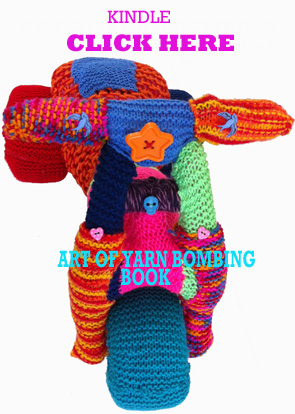 Now there is an annual world yarn bombing day, there are books and knitting and crochet patterns on the subject. 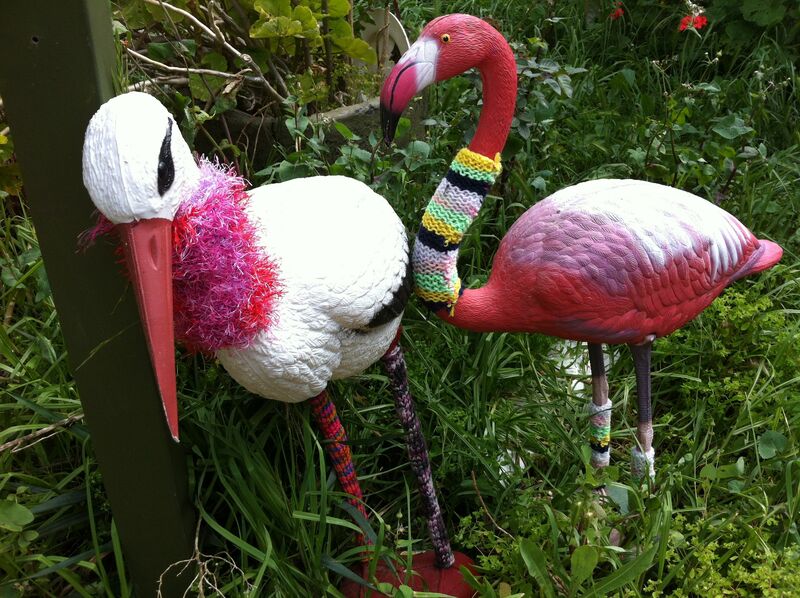 Yarn bombers are from all walks of life and come in all ages, sizes and genders, they share a love of knitting and crochet and a sense of fun. Yarn bombers will tackle just about anything from chain link fences, to bike racks, tree’s and even vehicles such as city buses, cars and even the odd army tank. 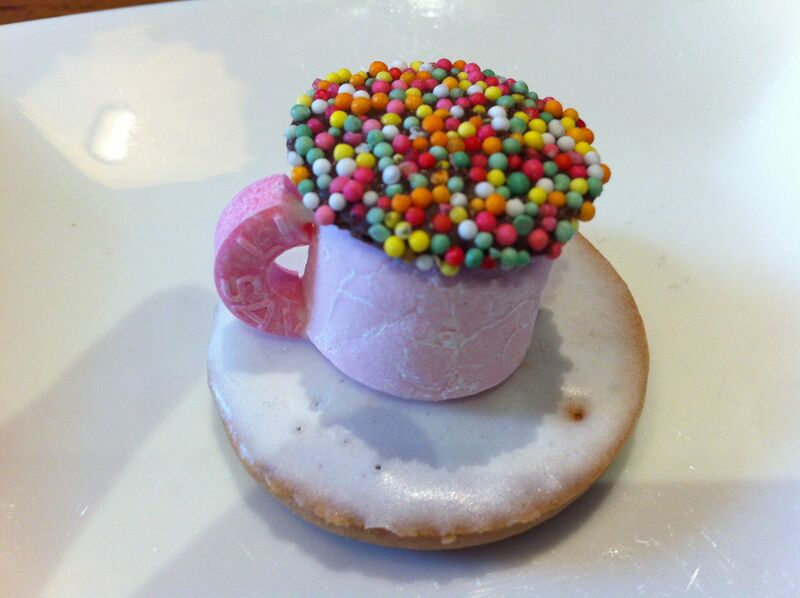 Recently a yarn bombed forest was featured in a television commercial for a big name, international chain of stores. 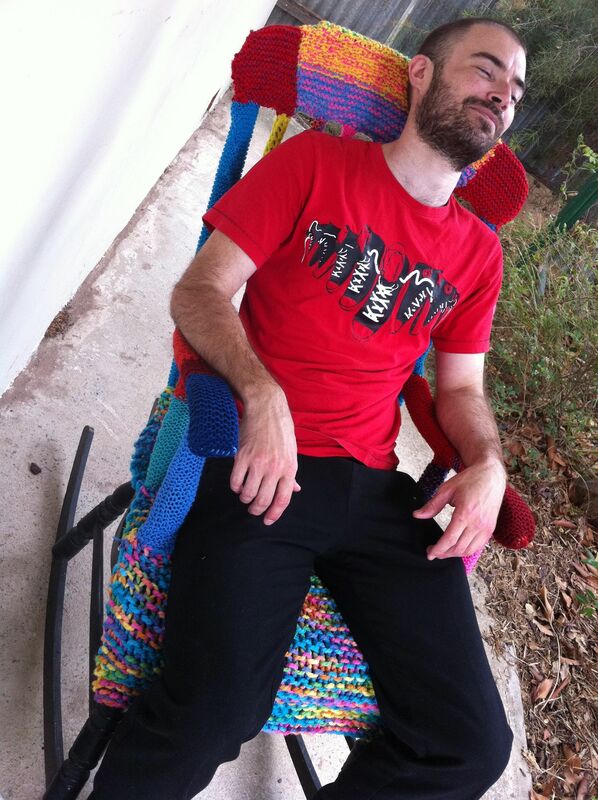 When I first began yarn bombing it was a little more obscure and generally involved my friends and I covering tree’s in our front yards or getting together to cover an old bike. Yarn bombing bicycles is a creative niche that has sparked the imagination of many crafters. 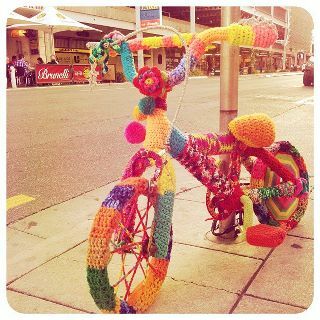 Each year there is an entire street art exhibition dedicated to yarn bombed bikes in Adelaide South Australia. 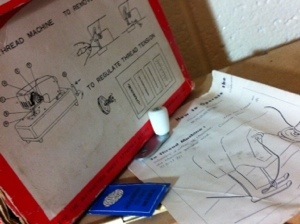 Which was designed to promote bicycling as a smart alternative to driving around the city. 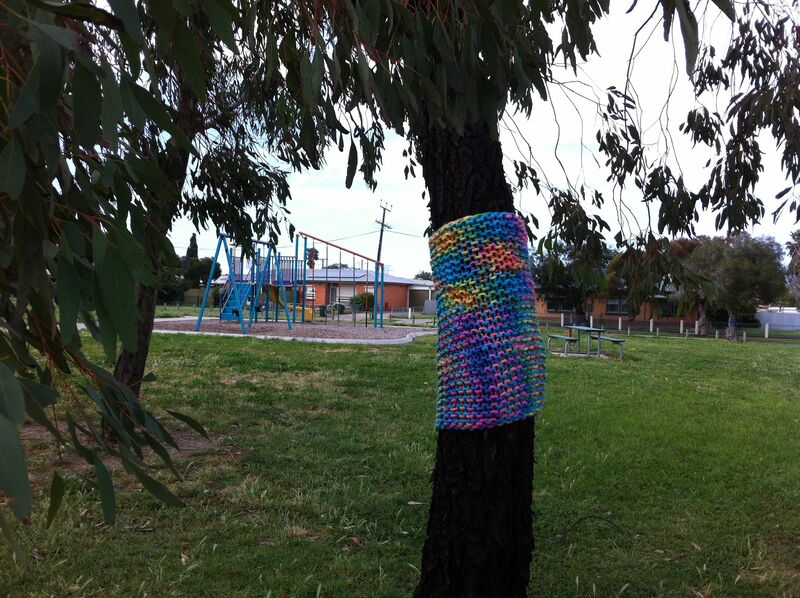 Anything that can be wrapped in yarn is fair game to a yarn bomber. 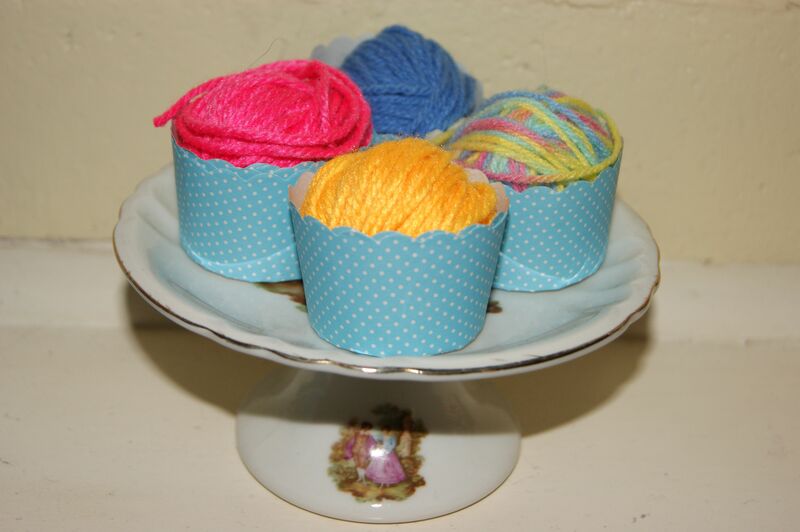 Picnic benches, chairs, toys, picket fences & traffic crossings are just a few examples of everyday objects that can & have been warmed up with crochet granny squares & knitted scarves. 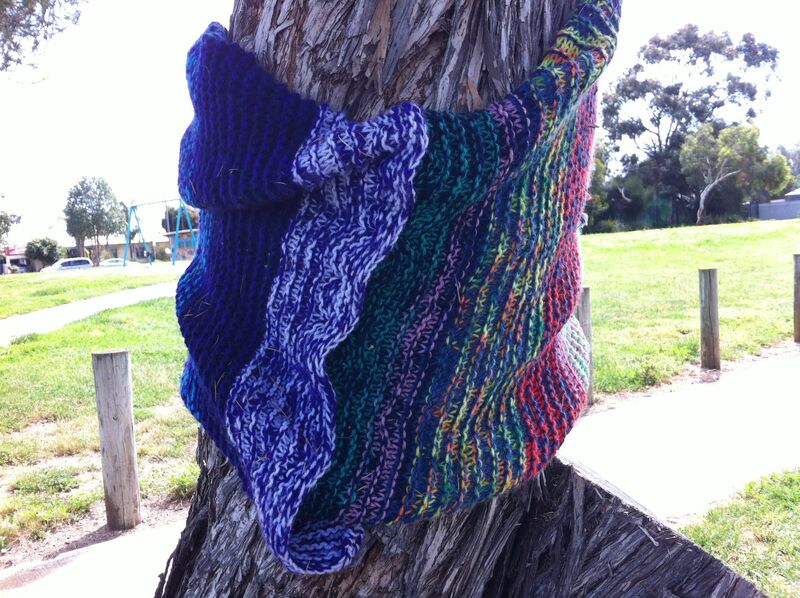 Yarn bombing is not only surprising & beautiful to look at but it is also tactile & people seem to want to stop & touch it when they see it in the street. 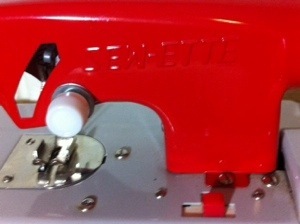 See you all next week when I will be posting pictures of my latest yarn bombing projects. 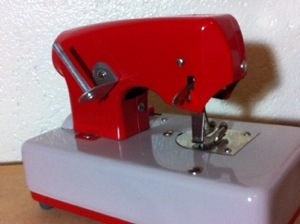 In the meantime I will keep my needles clicking and my mind open to new yarntastic ideas. 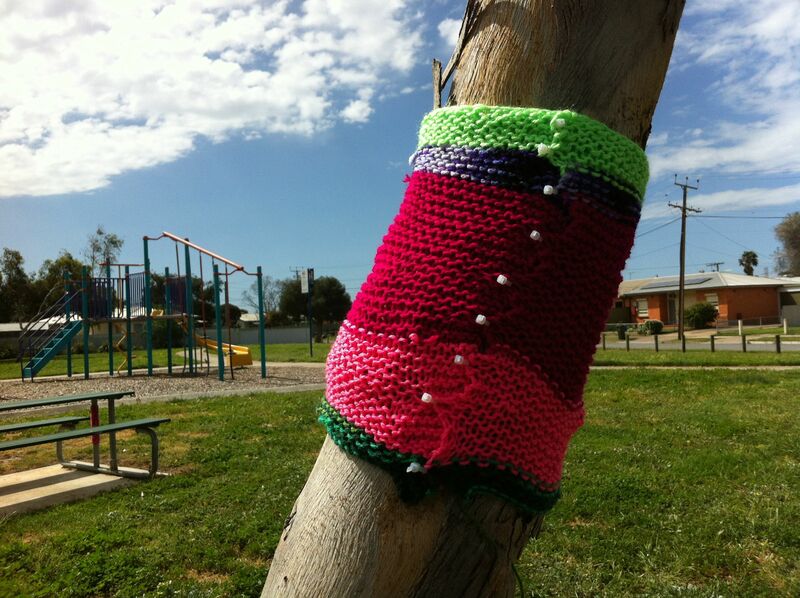 This entry was posted in bikes, crochet, knitting, photography, Yarn bombing and tagged photography, south australia, street art, yarn bombers, yarn bombing, yarn bombing picnic, yarn bombing tree's on October 7, 2013 by yarnbomb. 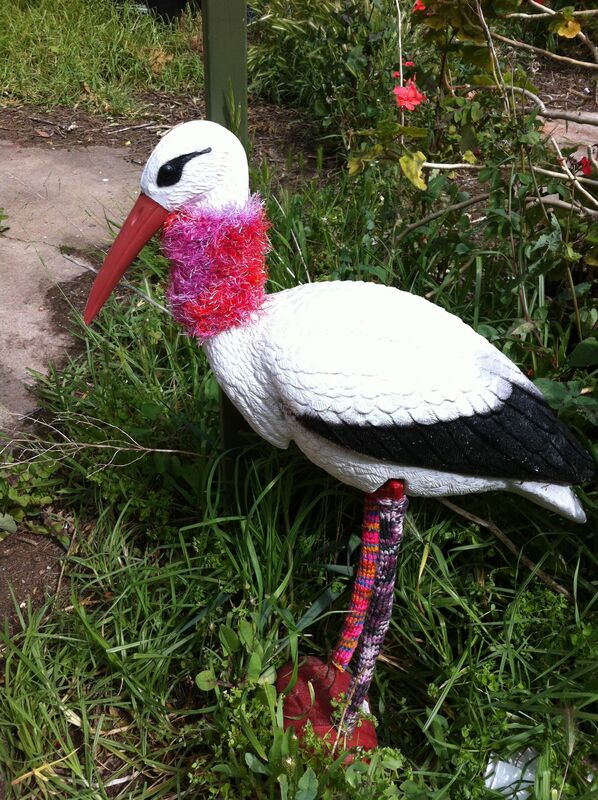 This entry was posted in knitting, photography, toys, Yarn bombing and tagged craft, flamingo, GARDEN, knitting, photography, yarn bombing on October 3, 2013 by yarnbomb.